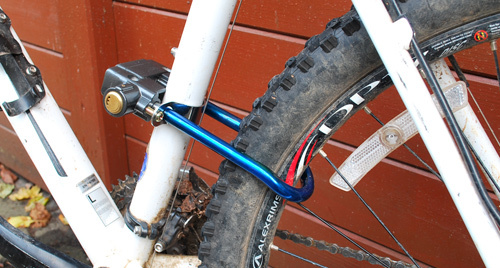 This lock fits to the frame of the bicycle or even the suspension forks. There are two positions for the shackle to fit. The first is in the inactive position when you are moving and then the active positon when the shackle slots through your bike spokesand the alarm is live. It is easier illustrated in the photos below. 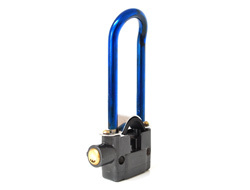 Each lock comes with 2 keys that opperate the anti-pick cylinder barrel. Once activated the lock will become live within 15 seconds. 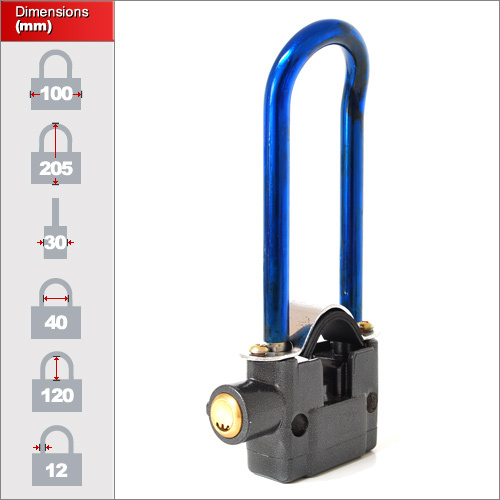 The lock then has a fail safe movement sensor which detects movement within a 5 second period. For example 1 movement within 5 seconds will not activate the alarm. 2 or more movements within 5 seconds will then activate it. 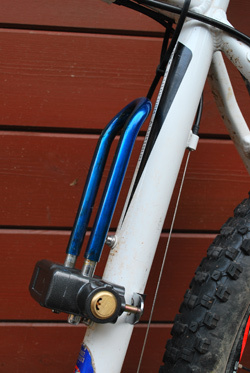 This prevents the alarm from being triggered by wind or by someone accidentally knocking the bike. Each lock comes with batteries installed, although the batteries are readily available from your local supermarket. If the lock is not being regularly activated then you should see at least 1 year battery life from the lock but it is recommended to test it every 2-3 months anyhow. to change the batteries remove the shackle and unscrew the screws at the bottom of the shafts. The underside of the lock will then come away where the batteries are housed.